Measure and manage your life. Is there a better alternative to TimeTracker? Is TimeTracker really the best app in Productivity category? Will TimeTracker work good on macOS 10.13.4? 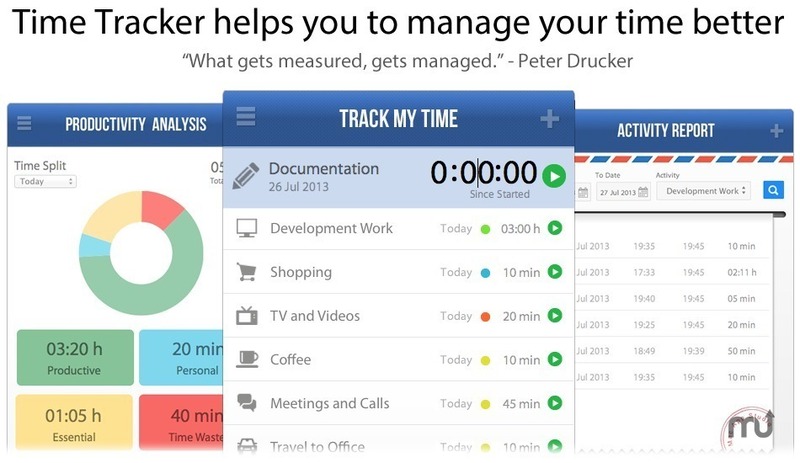 TimeTracker: Measure your time. Manage your life. An awesome way to track your time on various activities, understand where you spend your time and even take beautiful reports. Get started in a single click. Capture all activities of your life. TimeTracker needs a rating. Be the first to rate this app and get the discussion started! Mark each activity that you track as Productive (App Development), Personal (Time with Kids), Essential (Commute to Office) or Time Wasters (Casual Browsing) so that you will be able to get better understanding of time spend at the category level. Compare the ratio of your top productive activities in comparison time spent in each category for the time period.